The soundtrack to The Hunger Games: Mockingjay Part 1 is shaping up rather impressively. Curated by Lorde (or so they say), the album includes a team-up of Lorde, Haim, Pusha T, and Q-Tip on a single track, Charli XCX in a duet with Duran Duran’s Simon Le Bon, plus songs from Bat For Lashes and Grace Jones, and a Lorde remix from Kanye West. 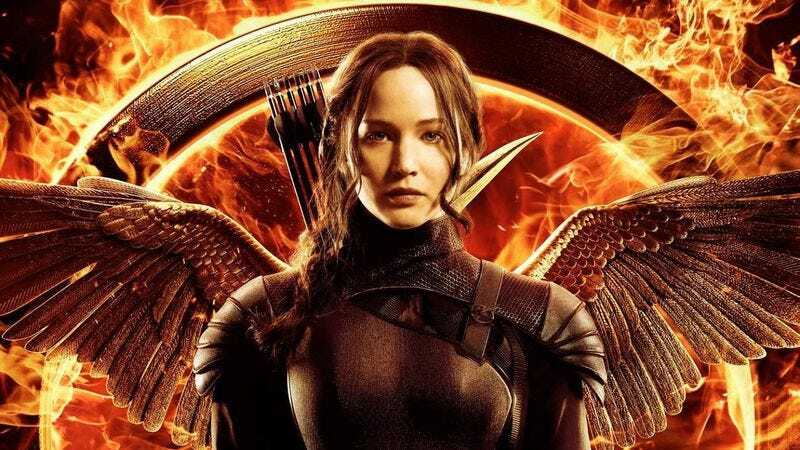 Out November 17, the soundtrack should bring a little more post-apocalyptic, warlike atmosphere to the bleak Mockingjay, which hits theaters four days later. A full tracklist for the LP is below. So far, two tracks from the album have been released: Lorde’s “Yellow Flicker Beat” already has 4 million views on YouTube, while “This Is Not A Game”—the first new track from The Chemical Brothers in two years, featuring soul singer Miguel—was just released today.